The 1899 Malolos Constitution also known as the Constitución política de Malolos was written in Spanish and is the first republican constitution in Asia. President Emilio Aguinaldo's Revolutionary Government used this constitution. The Malolos Congress drafted this constitution in 1899 that states that the people has exclusive sovereignty, basic civil rights, separation of the church and state, and called for the creation of an Assembly of Representatives which would act as the legislative body. It establishes a Presidential form of government with the president elected for a term of four years by a majority of the Assembly. It also states that Spanish is the official language of the country. In 1934, a constitution was drafted and was used by the Commonwealth of the Philippines from 1935-1946. It came to be known as the 1935 Constitution and provides for a unicameral National Assembly with the President elected to a six-year term without re-election. In 1940, it was amended to pave way for a bicameral Congress composed of a Senate and House of Representatives, the creation of an independent electoral commission, and gave the President a four-year term with a maximum of two consecutive terms in office. This constitution was later used by the Third Republic of the Philippines from 1946-1972. During the Japanese occupation of the country, the 1943 Constitution was drafted by the Prepatory Committee for Philippine Independence appointed by the Philippine Executive Commission, the body established by the Japanese to administer the Philippines in lieu of the Commonwealth of the Philippines which had established a government-in-exile. The draft was approved and the charter ratified in 1943 by an assembly of appointed provincial representatives of the Kalibapi, the organization established by the Japanese. Once ratified, the Second Republic was formally proclaimed with Jose P. Laurel appointed as President by the National Assembly and inaugurated into office in October of 1943. In 1944 before his exile to Japan, President Laurel declared a state of war existed with the United States and the British Empire and proclaimed martial law. After the announcement of Japan's surrender, Laurel formally proclaimed the Second Republic as dissolved. The 1943 Constitution provided the president strong executive powers. n 1971, a Constitutional Convention was held to rewrite the 1935 Constitution but the charter was suspended by President Ferdinand E. Marcos after proclaiming martial law in 1972. Later, the 1973 Constitution was promulgated and introduced a parliamentary style of government and was amended a number of times to satisfy Marcos' desire to be in power always. After President Marcos was removed from office through the EDSA People Power Revolution in 1986, President Corazon C. Aquino issued Proclamation No. 3. Otherwise known as the 1986 Freedom Constitution which was a provisional constitution, it declared a national policy to implement the reforms for the people, protect their basic rights, adopt a provisional constitution, and provide for a translation to a government under a new constitution. President Aquino later created a Constitutional Commission tasked to frame a new constitution through Proclamation No. 9. On October 12, 1986 the Concon presented the draft constitution to President Aquino. 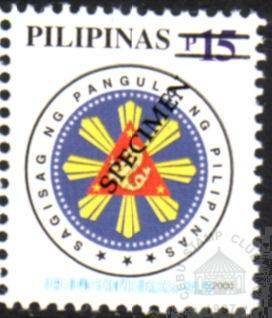 On October 15, 1986, a plebiscite for its ratification was held on February 2, 1987. The new constitution was proclaimed, ratified and took effect on February 11, 1987. President Aquino, government officials, and the Armed Forces of the Philippines pledged allegiance to the new Constitution. The national emblem of the country, the Philippine flag expresses the Filipinos' love for freedom, justice, nobility and equality. It represents Philippine unity and national identity. Designed by Emilio Aguinaldo when he was exiled in Hong Kong, the Philippine flag was sewn at 535 Morrison Hill, Hong Kong by Marcela Mariño Agoncillo, the wife of Felipe Agoncillo with the help of her daughter Lorenza and Delfina Herbosa de Natividad, a niece of Dr. Jose P. Rizal. This flag came to be known as "The Sun and the Stars" and was unfurled for the first time on the balcony of Emilio Aguinaldo's home in Cavite on June 12, 1898 when Philippine independence from Spain was proclaimed. The flag was used from June 12, 1898-April 1, 1901 and carries a similar red and blue color found on the Cuban flag. During the Philippine-American war, the flag's red color was placed on top. The flag has since evolved ever since its hoisting by President Emilio Aguinaldo in 1898. On March 25, 1936, Executive Order No. 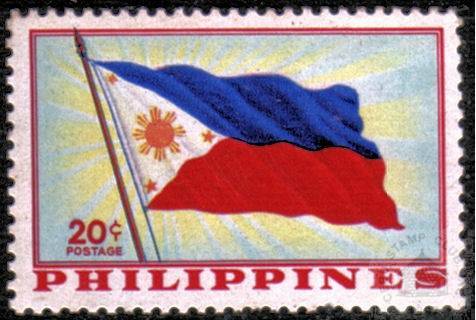 23 was issued by President Manuel Quezon restricting the official description and specifications of the flag. The Philippine flag was banned in 1942 during the Japanese occupation but was used when the Japanese-sponsored Second Republic of the Philippines was established in 1943. 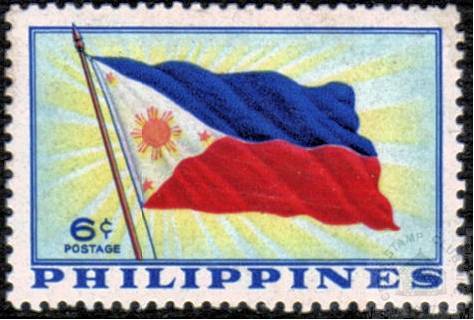 In 1981, the colors of the Philippine flag was changed back to the original Cuban colors by President Ferdinand Marcos. Instead, a sky blue color was used because the flag makers do not have the Cuban blue. It was in 1986 when the color design was abolished and the 1936 colors were used. During the centennial celebrations and to put an end to the endless debate on the correct blue color, Republic Act No. 8491 was passed on February 12, 1998 which changed the blue to royal blue. This is the present version of the Philippine National Flag. Located along the north bank of the Pasig River, Malacañan or Malacañang Palace is the official residence of the President of the Philippines. The term Malacañang" is a metonym for the Philippine President's administration, or the Executive branch. Malacañan Palace, was built in 1802 by Don Luis Rocha, a Spanish aristocrat. The ownership of the palace changed hands when it was bought by an official then subsequently by the state and became the temporary residence of the Governors-General. The first to occupy it was Governor General Rafael de Echague y Berminghan, a former governor of Puerto Rico. During the American regime, it became the official residence of the American Governors-General. In 1900, William Howard Taft became the first American Civil Governor resident. When the Commonwealth of the Philippines was established on November 15, 1935, President Manuel L. Quezon became the first Filipino resident of Malacañan Palace and has been the official residence of the President of the Philippines since then. After President Ramon Magsaysay's inauguration on December 30, 1953, an Executive Order was issued formally changing the name from "Malacañan Palace" to "Malacañang: Residence of the President of the Philippines." The new nomenclature rapidly caught on and was maintained until informally abandoned during the Marcos administration. For historical considerations, the administration of President Corazon Aquino made a policy creating a distinction between "Malacañan Palace", Official Residence of the President, and "Malacañang", Office of the President. The Seal of the President of the Philippines was designed by Captain Galo B. Ocampo and represents the history and dignity of the President. 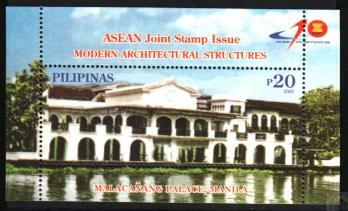 It was patterned after the Seal of the United States President and was first used by President Manuel A. Roxas in 1947. 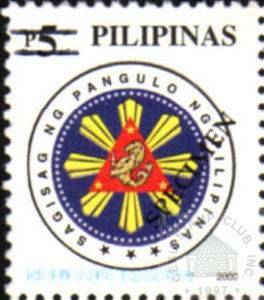 "A circular blue shield with an eight-rayed golden-yellow Philippine sun at the center. Overlapping the Philippine sun is a red equilateral triangle. Inside and at the center of the equilateral triangle is the traditional golden-yellow sea lion (Utramar) of the Coat-Of-Arms granted to the City of Manila in 1596, on guard with a sword on its right paw, at hilt. Inside and at the corner of each of the three (3) angles of the equilateral triangle, a five-pointed golden-yellow star to represent Luzon, Visayas, and Mindanao, respectively. The elements enumerated above are encircled at the outer edge of the blue shield by five-pointed golden-yellow stars, with one point of each star pointing outward on the imaginary radiating center lines, the number of stars conforming to the number of provinces of the Republic of the Philippines at any given time."